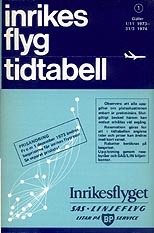 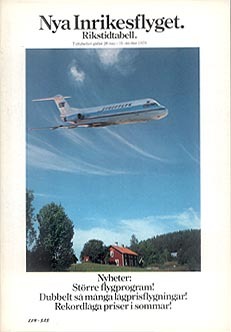 (covering all Swedish domestic routes), except for a couple issued under its own name in 1977. 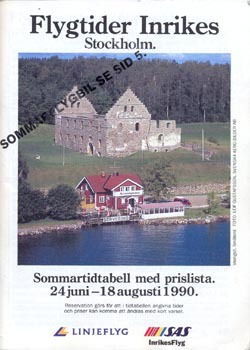 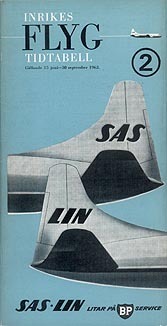 Visit Anders S. Svensson's page on the history of Linjeflyg, which is a section of his website High Flying Aviation Pages. 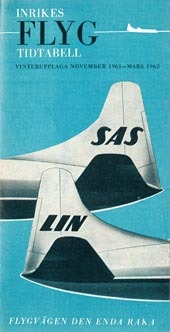 Linjeflygs hemsida (Linjeflyg Homepage) has more information (mostly in Swedish) and pictures of Linjeflyg's aircraft. This page last updated April 26, 2016.